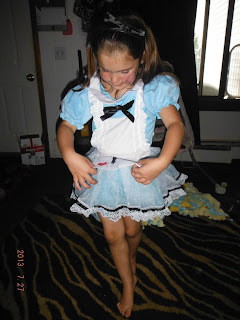 ♥ Mama 2 Multiples ♥: Birthday in a Box Girls Costumes Review! Halloween is one of my favorite holidays since having children. I love the excitement of choosing costumes, getting the kids dressed up, and showing them off. Best of all, seeing THEIR excitement brings a huge smile to my face! I love doing theme costumes with all of the kids. I figure as long as they let me, I'm going to keep doing that as long as I can! This year, we decided on an Alice in Wonderland theme! 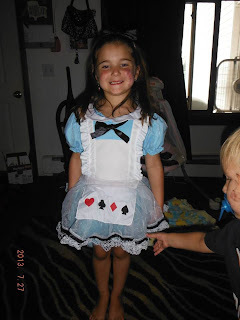 I recently did a review for Connor's costume (the Mad Hatter! ), and now, just received Merasia's Alice costume from Birthday in a Box! 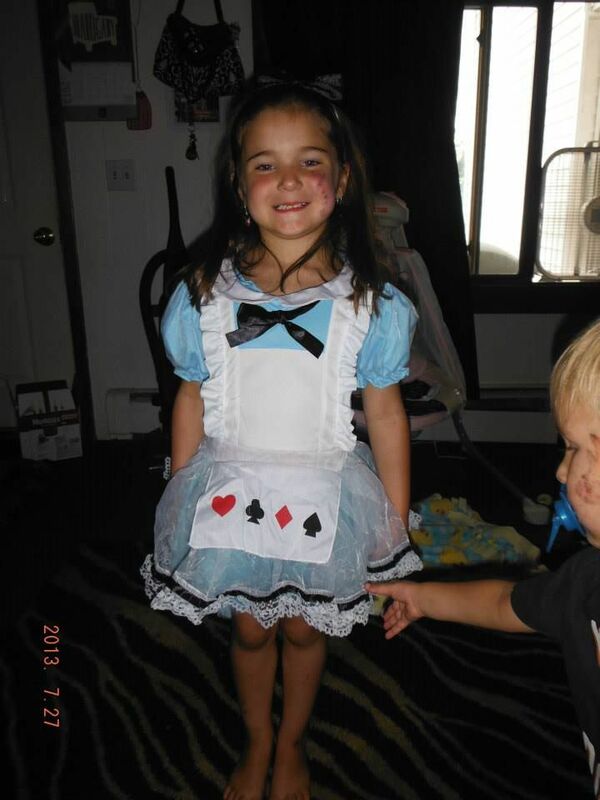 They have such a large selection of boys costumes, girls costumes, and tons of accessories! Merasia helped me choose her Alice in Wonderland costume, since there were a few different choices. 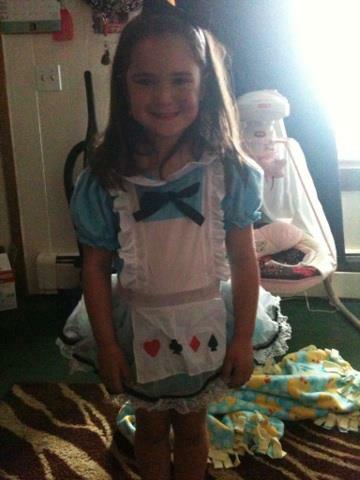 She finally choose the Girls Adorable Alice Costume. She LOOOOVES this costume, and so do I! It's SOOOO stinkin' CUTE!! It's very girly and frilly, which Merasia LOVES, and looks the part of Alice well, while not looking outdated, old, or ugly. The material isn't itchy which is good, because Merasia is sensitive to that. 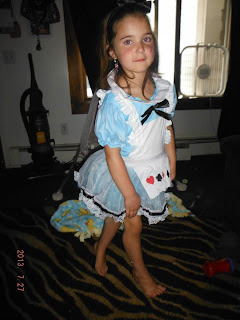 The costume came with just this one piece dress with attached bow and apron. To complete it, we need the tights and shoes, but that's not a big deal. We may or may not get Merasia a blonde wig to wear. That doesn't matter much to us. 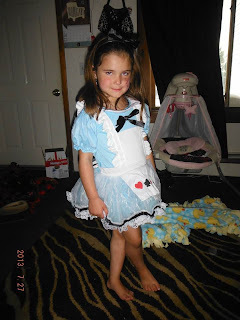 You will still be able to tell what/who she is just from this costume itself, because it matches so well to Alice in Wonderland and the whole theme. 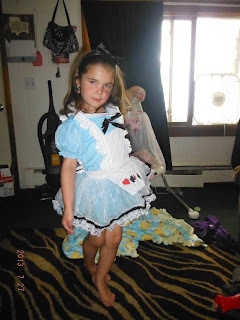 Merasia wouldn't stop dancing around when she tried this costume on, and just as I suspected, when I told her it was time to take it off to put upstairs and save for Halloween, she didn't want to! I did manage to get her to take it off though to keep it safe and clean until she can wear the heck out of it for Halloween and all of our festivities for that time of year! 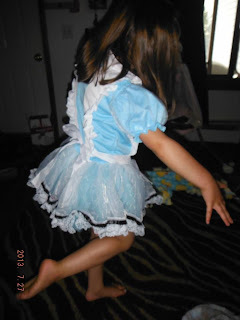 I am SO glad this costume is as cute as it looked online, and is of such high quality, just as I suspected from such a well established, wonderful company! 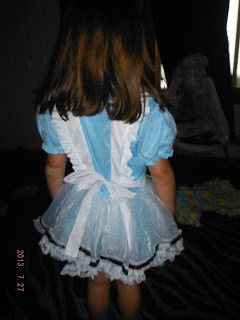 You can purchase the costume reviewed here, along with MANY others, at the Birthday in a Box website! Don't forget to follow Birthday in a Box on Twitter at @BirthdayInABox and "Like" their Facebook page! **DISCLAIMER** I received the above product(s) from Birthday in a Box free of charge in exchange for an honest review. No other compensation was received. However, all opinions are strictly my own.